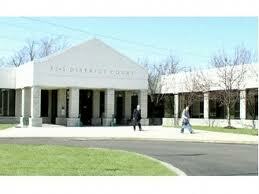 The 52-1 Novi Michigan District Court is among the busiest courts in Oakland County. The 52-1 Novi Michigan District Court hears all misdemeanor and felony offenses; drunk driving and OWI/DUI offenses; traffic violations; and probation violations. If you have been arrested or accused of a crime in Novi, MI, a Novi Michigan Criminal Defense Attorney of the Law Office of Kevin Bessant & Associates can not only assist you in your criminal defense, but aggressively litigate your case to ensure your case results in the best possible outcome. Oakland County is known for its strict criminal penalties and has a reputation for handing down harsh sentences. Novi Michigan Criminal Defense Attorney Kevin Bessant has successfully handled several criminal matters before the Judges, Prosecutors and City Attorney’s of Novi District Court and has the experience and reputation you will need to win your case before the Court.